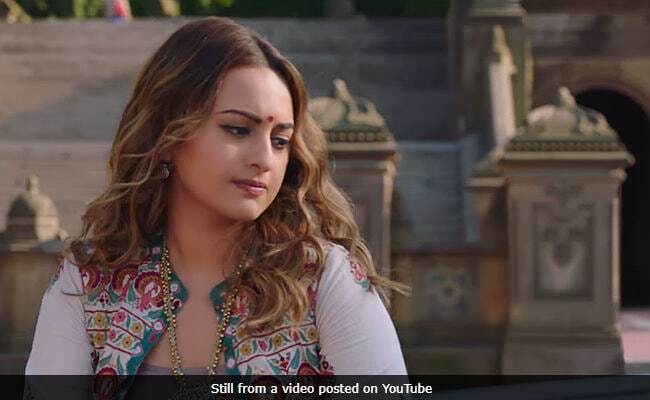 Sonakshi Sinha and Diljit Dosanjh's Welcome To New York director told news agency IANS that the team has not decided whether to keep or replace Pakistani singer Rahat Fateh Ali Khan's voice in the song titled Ishtehaar, which had irked singer-turned-union minister Babul Supriyo. Last week, Babul Supriyo demanded a dubbed version of the song to be used in the final cut of the film but director Chakri Toleti on Tuesday told IANS: "No decision has been taken on the Rahat Fateh Ali Khan song. I don't understand why we are being targeted like this. Our film Welcome To New York releases this Friday and this is just too much stress. We have made an entertaining film and we don't want to hurt anyone." Ishtehaar has been picturized on Sonakshi and Diljit. Ishtehaar is composed by Shamir Tandon with lyrics by Charanjeet Charan. Earlier, Babul Supriyo told news agency IANS that Indian filmmakers should not engage Pakistani artistes in their projects. He cited Atif Aslam replacing Arijit Singh for Dil Diyan Gallan (from Tigr Zinda Hai and said: "I would request the makers of the film to remove Rahat's voice and get someone else to dub it. I am also not sure why Atif Aslam got to sing Dil Diya Gallan when for sure our very own Arijit could have done a much better job." Arijit was reportedly replaced on Salman Khan's request, as their two-year-old feud still continues despite the singer's public apology. In 2016, Salman Khan also reportedly ensured that Rahat Fateh Ali Khan's rendition (and not Arijit Singh's version) of Jag Ghoomeya made the final cut in Sultan. It was also reported that Arijit Singh was also considered for Ishtehaar but producer Vashu Bhagnani told Indian Express: "Arijit Singh never sang for Welcome To New York in any capacity and this can be checked. He never sang a scratch either. Shamir, the composer of the song and I were interested in a certain texture of voice and Rahat suited it perfectly." Welcome To New York also stars Karan Johar, Rana Daggubati, Lara Dutta and Boman Irani. The film is expected to open in theatres on February 23.